Dr. Linette obtained her medical and surgical degree from the Iberoamericana University of Santo Domingo, Dominican Republic in 2005. Later she became specialist of Gastroenterology/Endoscopy from the University of Alcala De Henares, Madrid, Spain, after 4 years of training in Ramon Y Cajal Hospital, one of the most prestigious hospital in Madrid. Dr. Linette obtained PHD in Gastroenterology and Certificate in advances studies-research from the University of Alcala de Henares, Madrid, Spain. 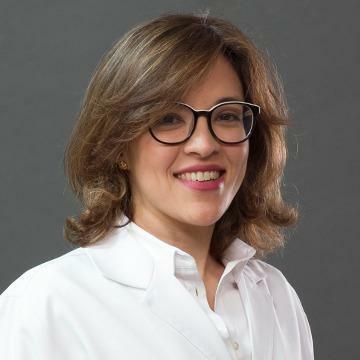 Dr. Linette has more than 10 years of experience in the field of Gastroenterology in various prestigious hospitals in Madrid in both public and private sectors and has been performing more than 10,000 of endoscopic procedures. Dr. Linette attended many national and international courses and developed in other areas of interest as Endoscopic ultrasound in the University hospital Clínico San Carlos, Ramon y Cajal Hospital and in the University Zarzuela Hospital, learning from greats professionals with a huge experience in the field. Dr. Linette can communicate with her patient in Spanish and English.